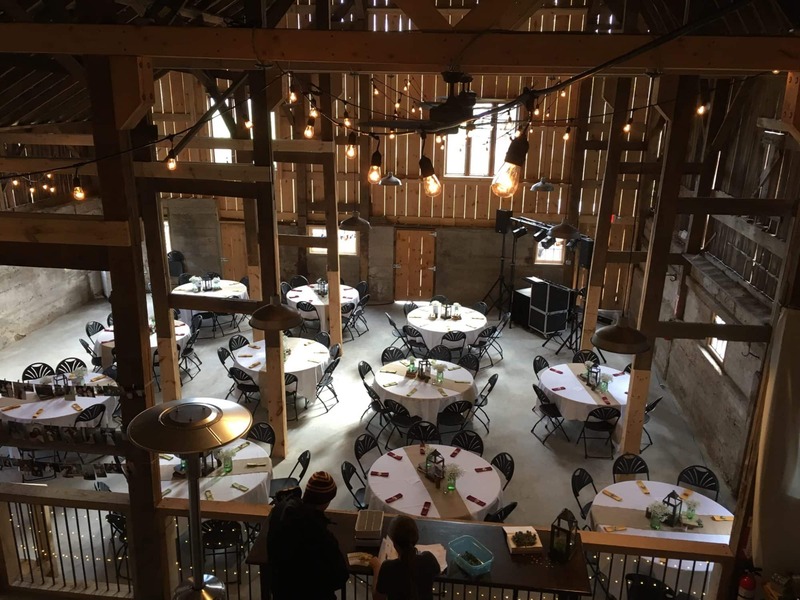 Thank you for considering hosting your event at The Barn at Iron Fish Distillery. Located in Thompsonville, Michigan, our beautifully restored barn is nestled on a 119 acre working farm where we grow the grain to create our premium artisan spirits. The barn sits adjacent to our state of the art distillery and tasting room. With a backdrop of a gorgeous 45 acre maple forest …all of these amenities come together to create a breathtaking rural environment, a one of a kind place to celebrate life’s most important moments. • Our 38’ X 80’ beautifully renovated, ADA compliant barn with all new electrical system. • Seating for up to 180 guests. • An events coordinator to work with your designated wedding planner and caterer.